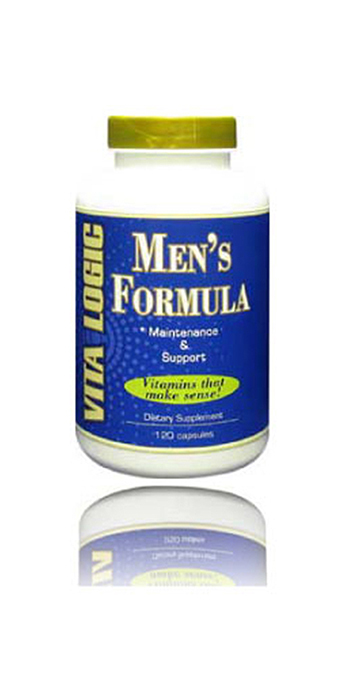 Prostate health is important for many men. The prostate gland plays an important role in both sexual and urinary function. Clinical problems associated with the prostate affect men of all ages and are quite common. These problems include Prostatitis (prostate infection), Benign Prostatic Hyperplasia (BPH or enlarged prostate), Prostate Cancer, Infertility and Urinary Incontinence. Frequent urination, difficulty initiating urine stream and decreased flow, pain with urination, blood in the urine, low back pain, decreased ejaculate and impotence are some of the symptoms associated with prostate disease. It is estimated that more than 30 million men suffer from prostate related conditions, which negatively affects their lives. While prostatitis (inflammation of the prostate) is the most common prostate problem for men under 50, many older men suffer from an enlarged prostate. It is estimated that approximately 1 in 6 men will at some point in their life have cancer of the prostate. Saw Palmetto plays an important role in preventing prostate enlargement and in relieving urinary symptoms associated with this condition. Studies have shown that Saw Palmetto is anti-inflammatory in the prostate and throughout the body. Zinc is present in high concentrations in the prostate and plays a key role in sexual development, functioning and reproduction. Zinc has also been shown to be important for fertility. Pygeum Africanum has been studied extensively for the treatment of prostate enlargement (BPH). Pygeum has been shown to reduce inflammation in the prostate and to remove cholesterol deposits from the gland. Selenium supplementation has been shown to reduce the risk of prostate cancer and aids in the fertility of both men and women. In men, selenium plays an key role in the formation and motility of sperm. Amino Acids, Green Tea, Lycopene, Maitake Mushrooms and Vitamin B-6 are additional ingredients that give enhanced energy and an overall nutritional boost. 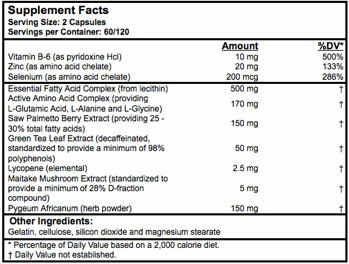 As a dietary supplement, take two (2) capsules daily with meals, or as directed by your healthcare professional.